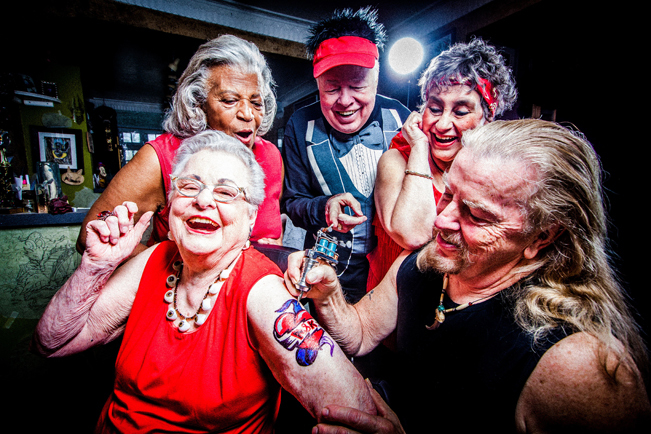 A fun variety of rock favorites are being presented by the senior group, Alive & Kickin’. This weekend they offer tunes ranging from Queen, the B-52’s, Foreigner, to Elvis Presley at the Bloomington Center for the Arts. Director Michael Matthew Ferrell is known for his terrific choreography for Theater Latté Da. Jason Hansen is the musical director. Alive & Kickin’ sings Hank Williams, Janis Joplin, and Michael Jackson. The show’s variety appeals across racial and sexual orientation divides. At last year’s concert at Old Arizona, Jeffrey C. Nelson, Ferrell’s partner, sang Can’t Help Loving That Man of Mine which just goes to show that this may be a group that came up when gay people were typically not even spoken of, but which is clearly in the groove of our changing times. Love is Alive… & Kickin’!